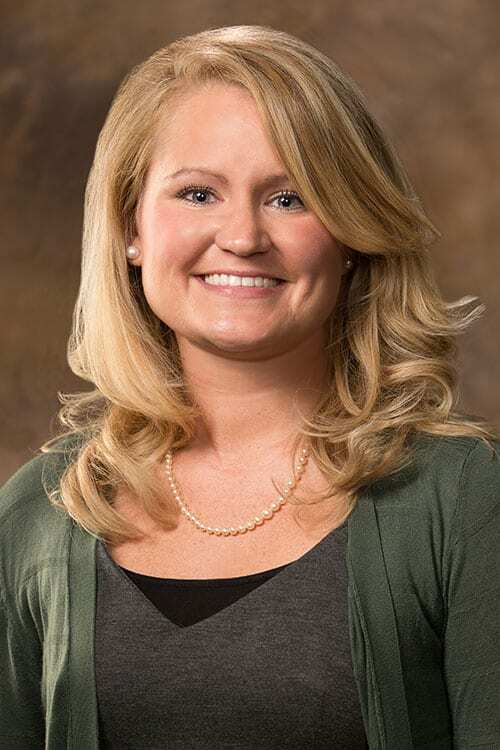 A new article co-authored by Rachel Glade, University of Arkansas clinical assistant professor of communication disorders, describes for health professionals information they need to understand unilateral hearing loss. Glade wrote the article with Donna Fisher Smiley, an audiologist at Arkansas Children’s Hospital, and Tanya Rutherford Owen, a U of A alumnus who owns Owen Vocational Services Inc. in Fayetteville. It was published in the Journal of Life Care Planning. The authors review literature about the implications and treatment for unilateral hearing loss and provide information, including recommended interventions, about management across the lifespan. Unilateral hearing loss affects a person’s ability to hear and understand speech when there is other noise around and to find the source of speech or sound. The condition can be congenital or acquired. In the past, medical professionals believed unilateral hearing loss was inconsequential, but more recently research has shown that children with unilateral hearing loss have poorer speech and language skills when compared to peers with typical hearing. It can also contribute to behavioral difficulties in children because many rules of social interaction are learned via subtle auditory cues and visual cues, according to the article. The article fulfills the need for providers across health-related fields to recognize the impact unilateral hearing loss can have on an individual, be prepared to make referrals for other services appropriately and be familiar with current technology options. Life care planning is a subspecialty of rehabilitation used in various venues where there is a need to set up funding for disability-related needs. About 840 people in the United States hold certifications in life care planning.